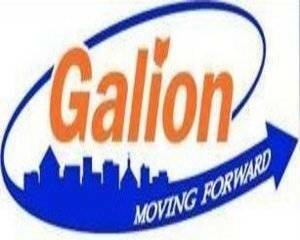 GALION — The City of Galion has achieved financial stability by erasing $8 million in fund deficits and addressing a $4.4 million treasury deficiency, Auditor of State Dave Yost announced today. Those shortcomings landed the Crawford County city of 10,512 people in a state of fiscal emergency on Aug. 9, 2004, more than 14 years ago. Only two other local governments, both in Adams County, are currently experiencing fiscal emergencies of greater length. Among the steps taken to alleviate the city’s fiscal distress, officials reduced staffing levels to save about $386,000 in 2004 and $128,000 in 2006. The city recalled some of the terminated employees as more financial resources became available. The city yielded additional savings by discontinuing its contributions to the Galion Community Improvement Corporation beginning in 2004. Prior to the change, the city had given $194,000 to the corporation each year. More savings resulted from a three-year salary freeze for city employees. To improve the city’s revenue stream, voters approved a 0.5 percent continuing income tax levy in 2006 for police and fire operations. This 0.5 percent tax has generated more than $12.5 million in revenue. The city’s total income tax rate is 2 percent. Started charging a vehicle registration tax in 2007 that has generated more than $934,000. Issued $3.5 million in general obligation bonds in 2004. Repayment of the debt was secured through a pledge from the Egbert M. Freese Foundation. Implemented a cable franchise fee in 2008 that has generated more than $1.2 million. Joined the Regional Income Tax Agency in 2012 to enhance tax administration and collection.